South Spencer will travel to Southridge for a 6:30 CST start in the opening round of the IHSAA Sectional. Tickets will be for sale in the High School office Wednesday through Friday for early purchase. Tickets are $6 dollars early purchase or at the gate. Go Rebels! 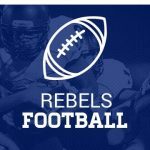 Friday, September 22, 2017 6:30 PM South Spencer High School AWAY 29 Pike Central High School HOME 22 Game Recap The Rebels got their 2nd Conference win at Pike Central with a 29-22 victory. Senior QB Manning Webb was 18 of 25 for 273 yards and 2 TD passes. He also rushed for another TD. South Spencer at No. 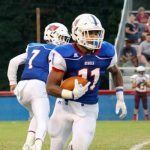 4 (3A) Gibson Southern is the 44Blitz Game of the Week for the second week of the high school football season. 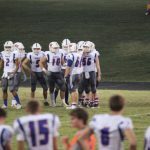 The Titans had an impressive showing in their first game, thrashing Forest Park 61-0. Meanwhile, the Rebels were on the other end of the scoreboard, losing 41-6 to North Posey.